Alain Pinel Realtors - Purveyor of distinctive residential real estate in the Bay Area. Answers to Frequently Asked Questions About Residential Rentals - Maintained by Law Office of Melissa C. Marsh. Apartment Finder - Find your new apartment in San Francisco. Apartment Guide: San Francisco - Apartment listing site. Apartment Ratings - Apartments for rent in San Francisco, with ratings, reviews, maps, and market pricing graphs. Apartments.com: San Francisco and Bay Area Apartments - Free apartment search. ArtHouse Listings - A 24 hour voice mail system that lists live/work and work-only studio spaces for rent or for sale throughout the San Francisco Bay Area. ArtistResource - Studio and Live/Work Space - Publicizes live/work space available for artists in the San Francisco Bay Area. Avalon: San Francisco Apartments - Quality San Francisco apartments with spacious accommodations and luxury features and amenities. Bay Rentals - One of the largest rental referral services in the Bay Area. Typically has thousands of rental properties available throughout Santa Clara, San Mateo, San Francisco, Contra Costa, Sacramento, Santa Cruz, Monterey and Alameda Counties. Blanc - Located at 1080 Sutter St. between Larkin and Hyde Streets. Blanc is a boutique building that has a spacious roof deck, and homes with either two or three bedrooms. Residence sizes range from about 750 square feet on the smaller side, to about 1,330 square feet on the larger side. There are also three penthouse homes that are over 2,000 square feet. California Tenants: A Guide to Residential Tenants' and Landlords' Rights and Responsibilities - Most landlord-tenant relationships go smoothly. However, problems sometimes do arise. For example, what if the rental unit's furnace goes out in the middle of the winter? What happens if the landlord sells the building or decides to convert it into condominiums? This section discusses these and other possible issues and problems in the landlord-tenant relationship. Published by the California Department of Consumer Affairs. CBS San Francisco: Real Estate - CBS TV Channel 5 site devoted to real estate in the San Francisco Bay Area. City of Berkeley Rent Stabilization Board - Information about rent control, laws and regulations. See also, the Guide to Rent Control, published to help landlords, tenants, property managers, and prospective rental property owners understand how rent stabilization works in Berkeley. City and County of San Francisco Affordable Housing Information System - Provides information to low-income renters about privately owned, government assisted housing opportunities in San Francisco. Coalition on Homelessness, San Francisco - The Coalition believes that homelessness cannot be alleviated without intensive outreach, support, training, and organizing in order for homeless people to participate in planning and advocacy efforts and in the formation of government and social practices, programs, and policies. Craigslist - San Francisco apartments and housing for rent listings. Curbed SF - San Francisco real estate. Report on sales and rental prices, new developments, neighborhood trends, and celebrity deals. East Bay Cohousing (EBCOHO) - Activists seeking to develop a cohousing community in the urban East Bay area (Berkeley, Oakland, Emeryville, Piedmont, El Cerrito, San Leandro, or Richmond). eHousing - San Francisco East Bay rental and roommate service. Eviction Defense Collaborative - Helping low-income tenants respond to eviction lawsuits. Each year it provides emergency legal services and rental assistance to over 5,000 tenants in San Francisco. Habitat for Humanity Greater San Francisco - Seeks to bring people together to provide affordable ownership housing for low-income families and individuals in San Francisco. Homefinders Bulletin - Rental listing service in the San Francisco East Bay Area, including Berkeley and Oakland, provides comprehensive listings of all types of residential rental property - houses, duplexes, triplexes, apartments, condominiums, live/works, and roommate/shared housing. HomeSuite: San Francisco Bay Area - Provides hundreds of short term and corporate rentals for you to choose from. Housing Rights Committee of San Francisco (HRCSF) - Fighting for tenants in San Francisco. Interim Housing Solutions: San Francisco - Free short-term housing referral service for San Francisco. Matches people looking for temporary housing with an extensive network of temporary housing providers. It's your Money - A group of tenants, advocates, and organizations bringing a greater sense of fairness to the business of tenant security deposits. Organizations throughout California have joined the campaign. Jackson Square Properties - Purchases value-added real estate, focused exclusively in the strong multi-family market. Since 2004, JSP has acquired over 10,000 apartment units and nearly 1,200 mobile home park spaces. It's current portfolio consists of apartment units nationwide with concentrations in California (including San Francisco), Florida, Texas and Utah. Contact via this page. Laramar SF Urban Apartments - Property manager. Office: 1500 Franklin Street, SF 94109. Phone: (415) 440-0550 during regular business hours. 24-hour emergency line at (877) 275-7975. Lofts Unlimited - Real estate service specializing in lofts in the San Francisco Bay Area. Movoto: San Francisco - Find homes for sale and top local real estate agents, MLS listings, school information, market statistics & trends, mortgage rates and open house. PadMapper - Search for apartment rentals in San Francisco. Paragon Real Estate Group - A locally owned and managed real estate company in the San Francisco Bay Area that conducts business across all market segments -- residential and luxury home sales, investment and commercial property sales and leasing, new home sales and rentals. Professional Property Management Association of San Francisco - Represents the professional management of approximately 20,000 residential units and over 3 million square feet of office and commercial space in the City and County of San Francisco. RealtyTrac: San Francisco - A leading online marketplace of foreclosure properties. Related: California - Real estate development, finance, management and advisory services, offering luxury apartment rentals and for sale condominiums in California, including San Francisco. Rent Tech - San Francisco rental and roommate service. Rent.com: San Francisco - Apartments for rent in San Francisco. Listings are updated several times per day. The site has interactive maps, HD video, and a variety of other resources. Rental Apartments and Houses in SF Bay Area - Provided by the San Francisco Chronicle. RentalGuide - The website for Bay Area Rental Guide Magazine. RENTCafé - Browse verified apartments for rent in San Francisco. Roommates - San Francisco's first and largest roommate service; one of the oldest roommate services in the world. San Francisco Apartment Association (SFAA) - Rrental property ownership organization that keeps housing owners informed about how to manage their property. Also see SFAA FAQs. San Francisco Apartments - Search thousands of apartments, condos, townhomes, and houses for rent. Also see San Francisco Apartments Search Guide. San Francisco Building Code - Building, electrical, housing, mechanical and plumbing codes. San Francisco Condo Mania - Browse the San Francisco condo and loft resale market by district, community, or price. San Francisco Housing Authority - The SFHA is the oldest housing authority in California and with approximately 3,200 local housing authorities across the nation, the SFHA is the 17th largest. The primary mission of the SFHA is to provide safe, sanitary, affordable, and decent housing to the very low-income families, senior citizens and persons with disabilities. The SFHA has grown to include 45 developments located in many and different San Francisco neighborhoods, with over 6,575 units of public housing serving the very low-income families, seniors and disabled residents of San Francisco. Since the 1974 inception of the Section 8 program, the number of low-income families whose rents are subsidized for privately owned housing has risen to approximately 7,000 with an additional 3,000 served through other federally funded programs. San Francisco Housing Development Corporation (SFHDC) - Community leaders from Bayview Hunters Point and the Fillmore neighborhoods created SFHDC to prevent displacement by educating residents about the home buying process and developing new homes for first-time homebuyers. San Francisco Lofts - San Francisco lofts, San Francisco lofts for lease, San Francisco lofts for sale, photos of San Francisco lofts for sale. San Francisco Mayor's Office of Housing - Coordinates efforts of the City to maximize housing opportunities for low income households and individuals. San Francisco Modern - Residential real estate. Registration required. San Francisco Office Lofts - Offers non-traditional office and live-work spaces for rent in downtown San Francisco. The spaces typically feature high ceilings, oiled wood floors, track lights, skylights and shower access. San Francisco Property Information Map - Public access to useful property information and resources at the click of a mouse. SF4Rent - A comprehensive resource for San Francisco apartment rentals and roommates. SocketSite - San Francisco real estate tips, trends, and the local scoop. Speculator Loophole, The: Ellis Act Evictions in San Francisco - A report by Tenants Together and the Anti-Eviction Mapping Project. Quantifies the impact of Ellis Act eviction in San Francisco and who is doing the evicting. Based on an examination of property records, rent board data, and corporate filings, the report provides the most detailed analysis to date of misuse of the Ellis Act by speculators. The report also outlines policy proposals that would limit misuse of the Act. 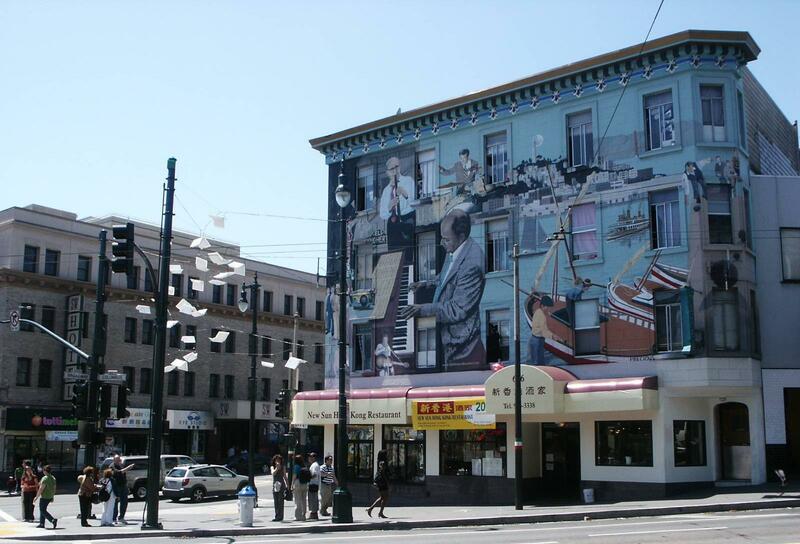 Tenderloin Neighborhood Development - Provides affordable housing in downtown San Francisco. This site also provides background and resources on housing issues. Trulia - San Francisco apartments for rent. Urban Bay Properties -San Francisco buildings and real estate. Discover the latest San Francisco condominium and loft buildings for sale. Zillow - San Francisco apartment rental listings. Zumper: San Francisco - Apartments, lofts, condos for rent in San Francisco. This webpage last updated on Friday, October 26, 2018 7:58 AM.